Submitted by lynn on Thursday, November 19, 2015 - 10:51am. ... until a tempting $20 off coupon email showed up to celebrate a "half birthday" ie 6 months before/after your actual birthday. Friends know that I just love coupons. This eclub deal was good for 3 weeks with the expected "can't be combined with happy hour or other specials" restriction. No minimum required. 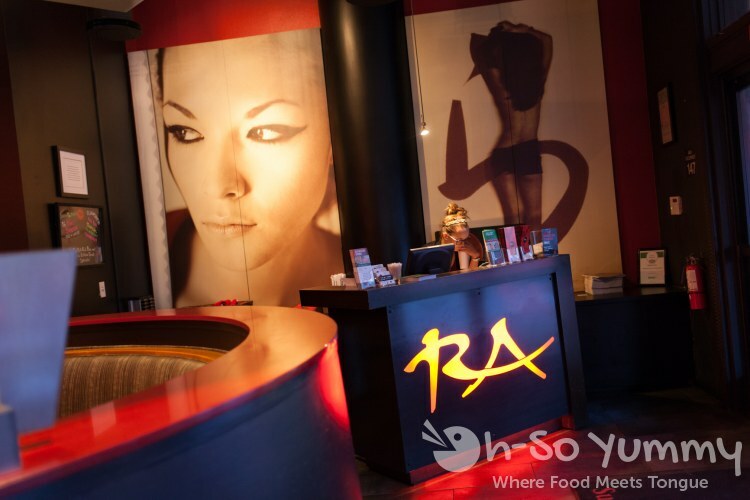 We decided to give RA Sushi an "official" visit. Finally, a view of the rest of the restaurant! I love the reds and glowiness in the evening. 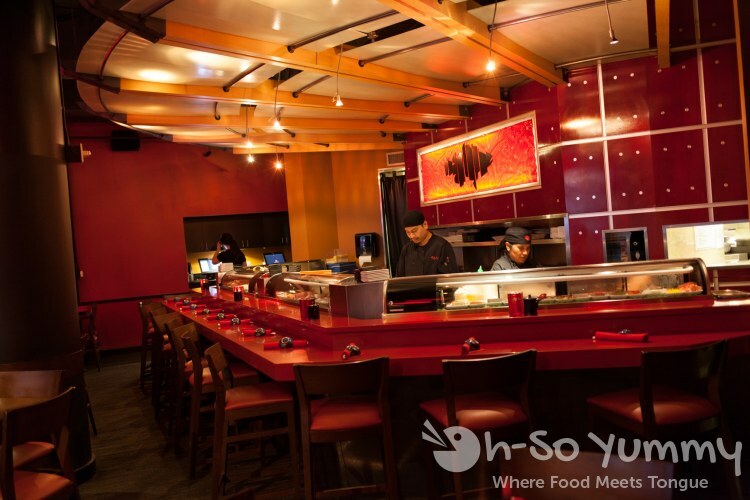 I really want to SIT in front of these sushi chefs because of the beautiful bar. And to check out the sushi action. 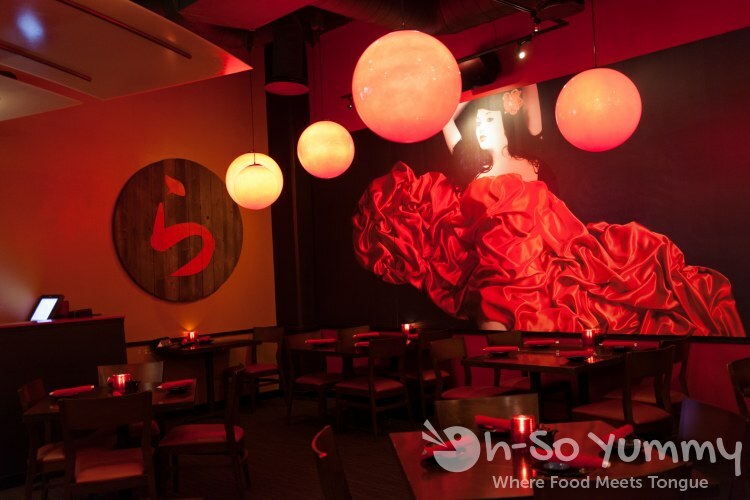 The wall art and globe lighting are beautiful too. It was quiet on this chill Tuesday evening. After scouring the menu, we decided to go with the RA Chips & Salsa (8.75). 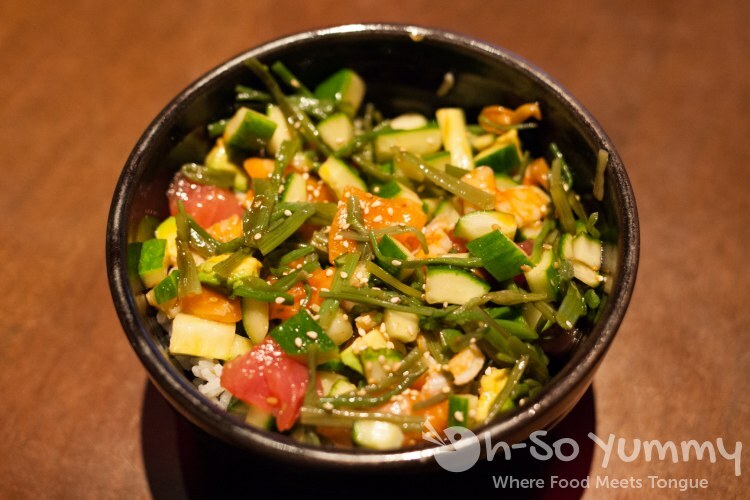 The asian style salsa was a spicy tuna tartare mixed with cucumber, avocado and salsa. It was a tad heavy-handed on the soy sauce but we still enjoyed it. 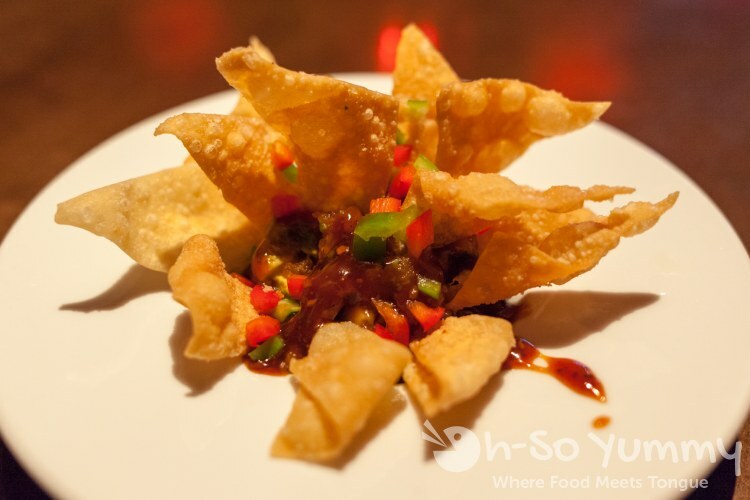 The bowl was packed tight, causing breakage to the thin and flaky wonton chips. A fork solved that scooping problem. We also requested more chips and were obliged without a charge. Yay! One of the recommended menu items was a Bara Chirasi Bowl (12.45), an entree with tuna, salmon, yellowtail, shrimp, avocado and cucumber served over rice. This dish was more or less filling but just as saucy as the first item. We needed more water after these two items since they were higher sodium. It did have nice chunks of fish here and there though. 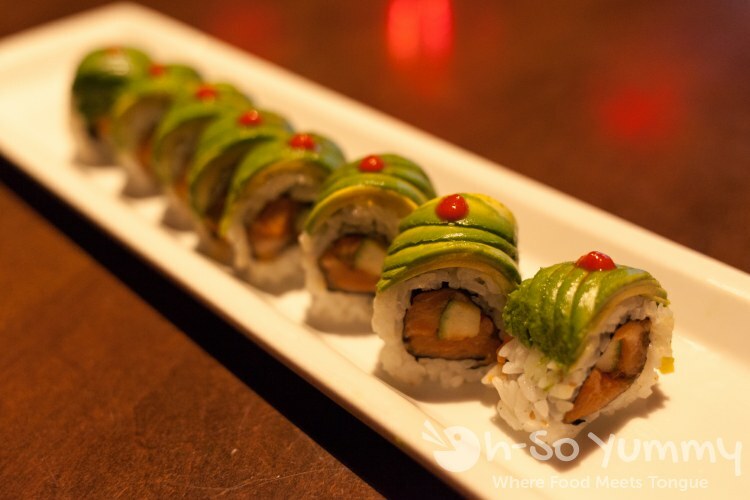 The Zonie Roll (9.95) lists spicy salmon, avocado and jalapeno as main ingredients. The jalapeno was hidden so well we couldn't find it, though the server assured us it was buried in there... I thought the roll didn't have much kick even with a mysterious jalapeno and a single drop of srirachi on top. 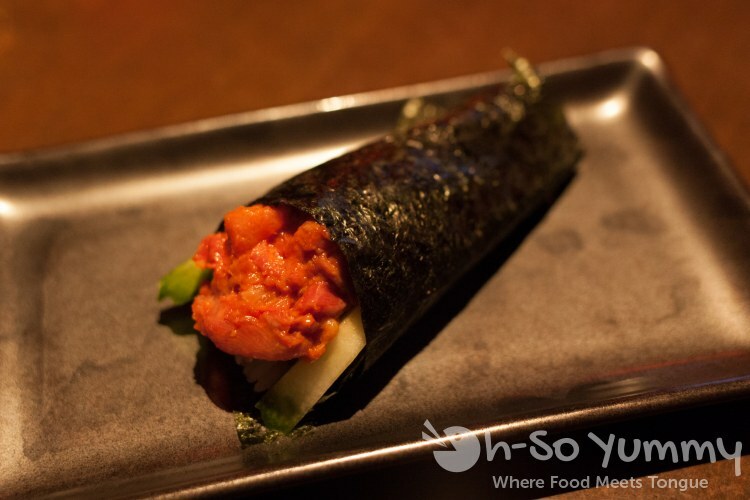 The Spicy Yellowtail Hand Roll (6.50) was somewhat plain. Once you got past the seaweed wrapper front, there was a huge section of rice, a poorly distributed hand roll compared to other places. I've had better. Dennis is not a fan of cream cheese but the menu has plenty of rolls for those who are. 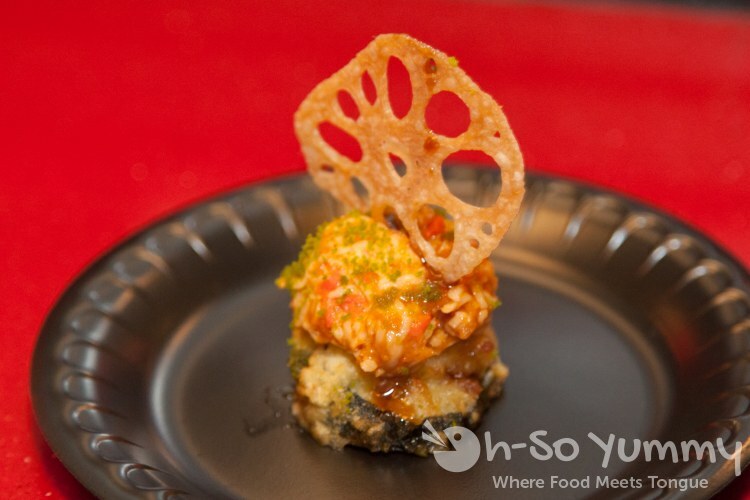 The Viva Las Vegas roll sample from a prior Taste of Downtown was one of the most popular rolls on the menu. I do think it's decent and unique. Soo went recently too. 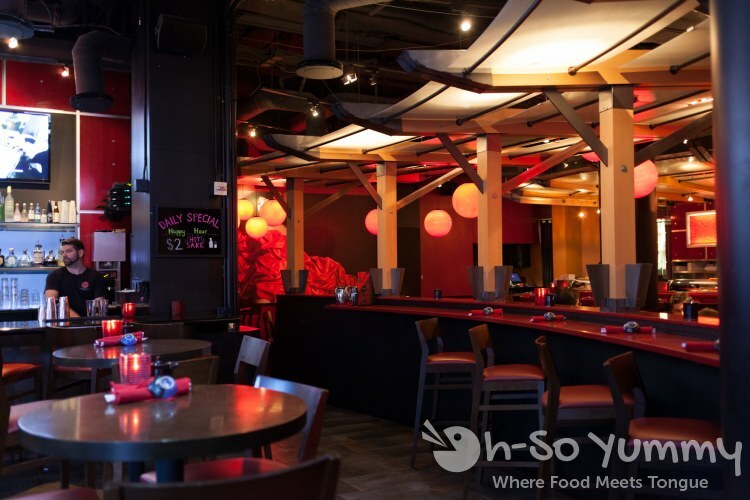 The restaurant always has daily specials so the usefulness of the $20 off depends on what you order. Not a bad place to check out if you're in the area. I'll probably be back when the next $20 off coupon arrives and I feel like going downtown.